After taking the ferry from Cebu, we arrived in Bohol 2 hours later. We took a taxi straight to our resort, which was only a 30 minutes-drive. 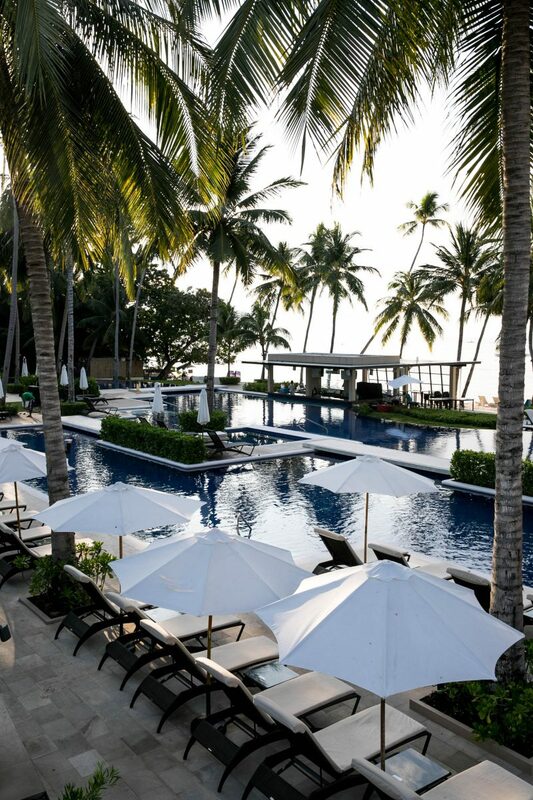 The Henann Resort is situated at the Alona Beach, one of the most impressive coastlines of the Philippines. Its white sand, sky-high palm-trees and light-blue water looks stolen from a typical postcard. The lobby of the Henann Resort gives you an inmediate holiday feeling. Our luggage was taken care of, when the trunck of our cab wasn’t even opened yet. With a welcome drink in our hands, we were guided to our room on the second floor. After dropping our luggage, we wanted to go for a swim. We needed to be fast, to catch the last rays of sunshine, due to arriving in the late afternoon. We decided to dive in the swimming pool which was located the closest to the beach – There were 3 in total. The ocean view was great, but the bar at the board of the swimming pool brought us even better news: ‘It’s happy hour, every day, between 5 and 7 PM’. 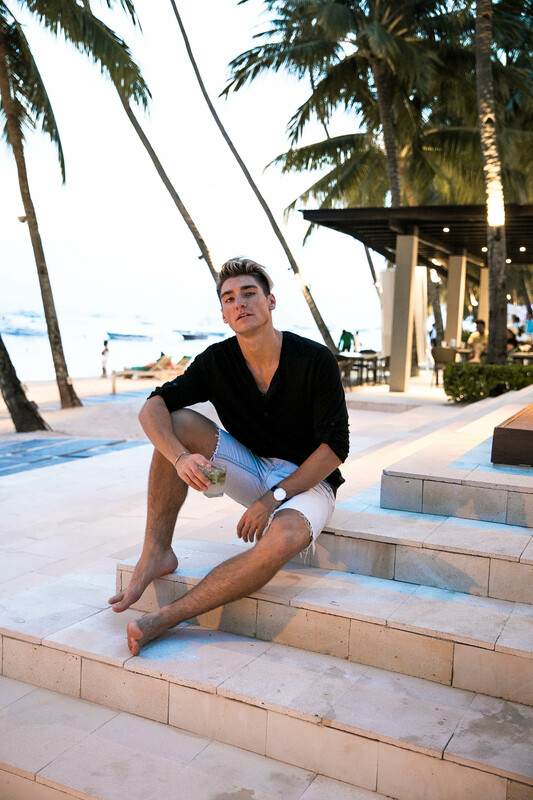 With a mojito in our hands, we explored the other parts of the hotel. With 3 restaurants & 3 bars, we had plenty of choice were to catch dinner later. After dinning, you’re able to take another swim, in one of the pools which are opened until 12PM, or to check out the Spa – which has excellent treatment sessions. Previous Post What to do in Bohol?